The new Apple iPhone will have a tough competition over the next year 2019. Samsung will present smartphones with incredible news. Samsung plans to present its largest mobile phone in its history to celebrate the 10th anniversary of its Galaxy line . If the rumors are true, the Samsung Galaxy S10 will have twice as many camera lenses as the iPhone XS Max. On the other hand, the screen of the Galaxy S10 will also be slightly larger than that of the iPhone XS Max. And in this aspect, any millimeter makes the difference. According to The Wall Street Journal , Samsung has chosen the code name "Beyond" for this smartphone. It will be available in three different sizes and the model with 6.7-inch screen is called Beyond X. 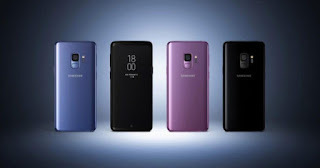 Another of the most interesting features of the Galaxy S10 is that it will incorporate a 5G wireless modem , although the 5G networks are not yet 100% ready for most cities around the world. 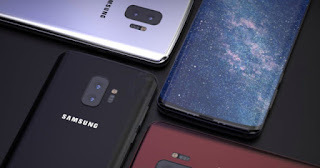 In addition the Galaxy S10 could arrive with, nothing more or nothing less than 6 cameras . Two of them will be located on the front, and the remaining four on the back of the smartphone. This large number of cameras will offer more zoom options for selfies and for normal photographs, as well as more in depth information for augmented reality applications and portrait mode. Samsung's line of 2019 smartphones will be quite similar to Apple's in 2018. There will be two high-end models and an economically more affordable version like the iPhone XR. Finally, it is possible that some of these devices also have a fingerprint reader on their screen , in addition to facial recognition.